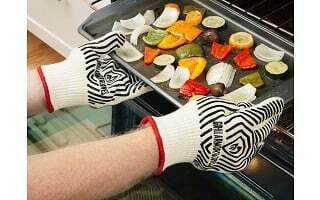 Heat-resistant Grill Armor Gloves for cooking, baking, grilling, and other protective jobs around the house are the extra layer of defense you want when you’re around heat. A pair can handle temperatures up to a whopping 932° Fahrenheit, so tasks like checking on piping hot dishes and moving grill grates and oven racks are safely handled. Boiling lobsters or pasta, or doing some canning? Go for a waterproof pair that is just as protective. A lining of Aramid built into the gloves is where the heat-shielding power comes from. The material is similar to Kevlar and is often used in flame-resistant and heat-protective clothing. On the outside, a silicone coating gives the flexible gloves extra grip. So you can feel more confident and safer when you’re around high heat. 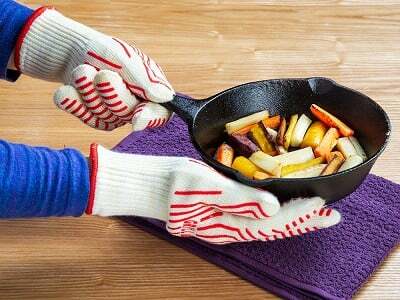 These gloves are heat resistant up to 932° Fahrenheit. 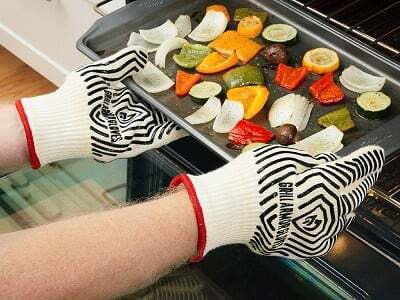 They are EN407 certified oven and grilling gloves and provide the highest heat rating for protective gloves on the market today. 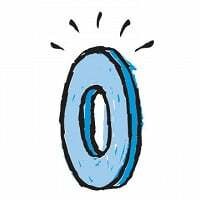 *The time at which the inner surface temperature of the gloves becomes uncomfortable for the user. What materials are used to make these gloves heat- and flame-resistant? 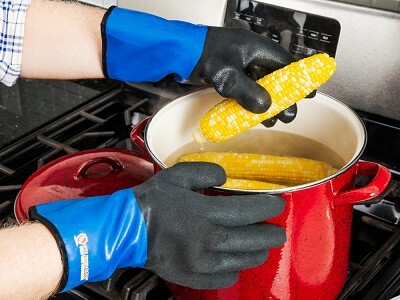 The secret to the effectiveness of these heat-resistant gloves is that they feature an inside lining made from Aramid (similar to Kevlar), cotton, and polyester. Aramid is used for making both flame-resistant clothing and heat-protective clothing—keeping your hands safe while also being comfortable and easy to use. Aramid fibers are a class of heat-resistant and extremely durable synthetic fibers. How do I care for the gloves? To clean the gloves, machine wash on cotton setting with non-chlorine bleach only. Do not use fabric softener or chlorine bleach as this may damage protective outer lining of glove. Air dry only. To treat stains, spot-treat with pre-wash stain remover and allow to sit for several minutes before washing. Wash regularly to prevent grease build up on gloves. To dry the gloves, wring out lightly after washing and place on drying rack or clothesline to air dry. Do not use gloves while still wet as this can allow heat to penetrate glove.